Don't See what you are looking for??? Visit our new easy to order shopping cart at JetPumpParts.com we have over 2,000 items in stock and ready to ship. Droop snoots, race nozzles, and extensions housings. 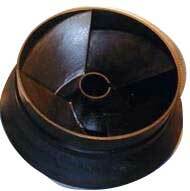 American Turbine Replacement Split Bowl. " 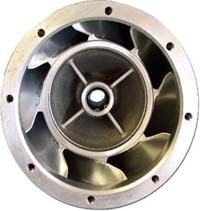 Works Better than the Original Berkeley Bowls "
American Turbine replacement split bowl, machined clearanced for up to 9.5” impellers. To repair worn or freeze damaged bowls. This is a 17-4 Jet pump shaft, Known to be the strongest in the industry. A must for any Weekend warrior or your all out Blown Alcohol Jet boat! Eliminate having to rev the engine after putting boat in water due to pump being air locked. This is a must for drag racers, as it's a common problem with running a droop snoot. 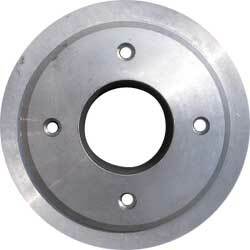 This installs by Drilling and tapping the top side of the bowl about 2.5" back from suction housing flange. This revolutionary stuffer not only fills the bowl cavity, it also stuffs the void in back of the impeller, reducing pump "cavitation and slip".Improves holeshot and Mid range power! Fits Berkeley Bowls. (ATJ and Dominator bowls will require slight modification). Machining of Bowl is sometimes necessary to achieve proper clearance. (Finished Machined and Drilled / Includes FREE Bolt kit. $6.00 value). This custom fitting Hand hole cover is designed to eliminate any cavitation coming from the Stock Berkeley hand hole cover. It replaces the stock hand hole cover with a Race hand hole cover that fits the contour of the suction housing Perfect thus leaving no room for air to get trapped around the cover that creates cavitation. Oversized hand hole covers are available. Machining of suction housing is required to achieve a precision fit. 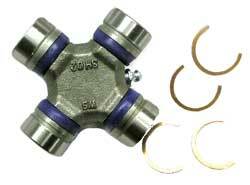 These 3/8" Heavy Duty Hand Hole Cover Eye Bolts are Recommended for use on "RACE Application Pumps" Kit comes complete with Billet eye bolts, Clevis Pins, Cotter Pins, Thick Washers & Wing Nuts. Fits Berkeley Pumps only. Use these 4'angled washers. Anytime you use an angled shim to prevent the Stud/Bolt from bending and possibly breaking . Manufactured from t-6 Billet Aluminum. Stops stripped threads in your bowl due to frequent wedge changes. It includes stainless studs, nuts and lock washers. 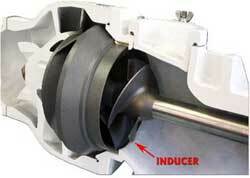 Reduces the chances of blowing the Bowl off of your jet and eliminates stripped bowl threads. This kit is a substitute for having your bowl Double Bolted. It includes 8 stainless studs, nuts and lock washers. Hydraulic Place Diverter System for Berkeley JB/JC/JG. This kit provides the freedom of instant control with the flip of a switch. This unit travels its full range in approximately 2 seconds, and due to its hydraulic operation it is infinitely adjustable. Each kit comes complete with a hydraulic diverter assembly, hydraulic pump, wiring harness, switch, and all necessary hydraulic fittings and lines. Manual Place Diverter System for Berkeley JB/JC/JG. This kit provides the freedom of instant control with the push of the lever. Each kit comes complete with a Floor or Stringer mount control and a 14' 15' or 16' Cable. #AT R8607 Manufactured by American Turbine. This unit will bolt up to Berkeley JB/JG, Dominator, American Turbine, & New style Legend jet pumps. 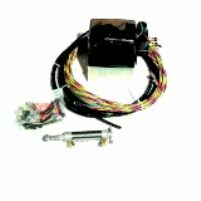 Complete Kit witch includes New Nozzle housing **Specify Long snoot or standard nozzle housing. ** American turbine diverter,Hyd pump, Hyd cylinder,Rudder, & wiring harness. This is a Complete Bolt on system , giving bow attitude adjustment for faster Holeshot's and on plain speeds, Or if you're just looking for that HUGE ROOSTER TAIL!! Made to fit: Berkeley 12JB, 12JC, 12JG, American Turbine, (Berkeley housing)Legend, Dominator, Barracuda, Volvo Penta. Specifiy: Manual control or Hydraulic control. Also FTN (Fine tune Nozzle insert) are available Pre Machined with each PlaceDiverter and come with one insert. Made to fit Berkeley JE pumps. (Shown with Optional HYD control) Can also be modified to fit Berkeley JF pumps. When using on JF pump an additional steering arm must be purchased. This is the inner Teflon O-Ring in a Place Diverter. When they spit out, they look like a drinking straw caught in the Place Diverter. Stainless Steel cylinder used on Place Diverters. 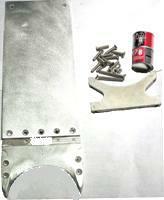 Can also be used with air, for many other functions such as exhaust flapper control. With this fabulous kit you can now know exactly how your jet drive is trimmed by simply seeing it on a gauge, as opposed to constantly turning around to try and visualize your diverter output and drive at the same time. Includes sender, and hardware. "" Any Mercury style trim gauge will work with this trim indicator system""
Mount's to steering wheel for ultimate diverter control at your finger tips! Includes diodes. 4 bolt rudder used on A/T trim nozzles. The kit is designed to convert your old style Jacuzzi pump to a much more efficient American Turbine style pump. On the average there is a 20% increase in Performance over the original Jacuzzi 12YJ & Golden Eagle Pump. And a 10% increase in Performance over the 12WJ Pump. Also there are many aftermarket parts available for the energizer kits that are not produced for the original Jacuzzi. 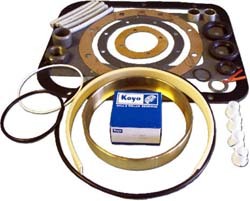 All kits include a special shouldered wear ring to reduce Cavitation! 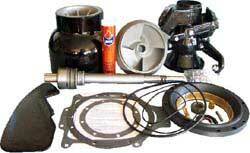 Kit includes~ 1 Intake Gasket ~ 1 Thrust Bearing ~ 1 Impeller Key ~ 1 Bearing Cap Seal~ 1 Suction Piece Seal~ 1 Bowl Seat ~ 1 Retaining Ring~ 1 Bowl Gasket ~ 1 Nozzle Hsg. Gasket~ 1 Bearing Cap Gasket ~ 1 Insulator ~ 1 Wear Ring ~ 4 Bowl Bearings ~ 1 Steering Tube Bushing ~ 1 Grommet ~ 4 Packing Rings~ 4 Nyliner Bearing~ 2 Nyliner Bearing ~ 1 Transom Gasket ~ 1 Bowl O-Ring ~ 1 Nozzle O-Ring~ 1 Hand Hole Cover O-Ring~ 1 Impeller Nut ~ 1 Bowl Bearing Cap~ Specify diameter of wear ring surface on your impeller so we can provide you with the correct oversized wear ring. This is an Extreme duty, 11 ball double row angular contact bearing. Used in High Horsepower applications where severe axial thrust loads are present. "Filling slot faces motor" "Care must be taken when installing bearing onto shaft,Only press on inner race of bearing"
Available for: American turbine, Berkeley & Dominator. Make of Pump and Serial # when ordering. These are the STOCK non shoulderd wear rings that come in a Berkeley pump. Made of Stainless Steel! Designed to effectively hold the wear ring in place. 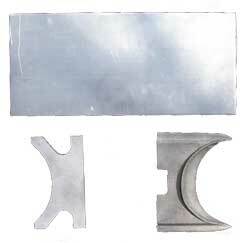 Berkeley replacement impellers, available in aluminum OR stainless. Featuring redesigned pitch and leading edge length, these Impellers are Heat Treated/Aged-Hard Black Anodized. 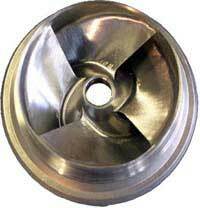 This is the "NEW" Hi-Helix Stainless steel impeller everyones talking about. For winning performance every detail counts. Precision Jet Drive Billet Impellers feature space-age, race-proven technology, 100% aircraft materials and quality control specs, the state-of-the-art design and CNC machining make the difference every time. Fits: American Turbine, Berkeley, Dominator, Legend, . The HM inducer Feeds 20% more water to the impeller, this helps the Hole shot and Keeps your pump Hooked Up under extreme conditions. This Do-It-Yourself kit comes complete. With Inducer, 17-4 shaft machined for inducer, Thrust Bearing & Slinger ring " WHEN IN CHECKOUT, You Must Specify Make of Pump and Serial # <-- for sizing purposes of slinger ring. Do this in the order Notes!!" . 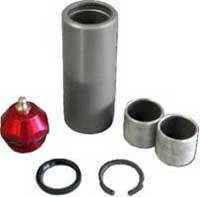 We also Press the Bearing on the shaft and install the snap ring for you . 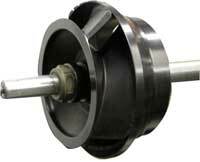 Our Extreme Duty Thrust Bearing is also available for a $50.00 Upgrade. This Kit contains everything needed to secure the intake in the bottom of the boat after the epoxy has setup. Contains Flathead Phillips machine screws , lockwasher nuts , washers. Now you can ADD a High performance Shoe and ride Plate Kit to your Stock Berkeley Intake without the hassles of removing and machining it. Will only fit Berkeley intake #s 2155 usually located under the bell housing or under the oil pan on the pump intake. Test's have shown that boats with ARS shoe and ride plate kits have gained anywhere from 2-10 MPH on boats that run at least 63 MPH and are light enough to Benefit from the added stern lift. We have designed many kits that are available contact us with your specific application. #AT 16007 Shoe Rough casting- Available in 1/2",5/8" or 3/4"
We can custom machine you a shoe or ride plate to match your existing bolt pattern. Just send in your existing shoe or ride plate as a template with thickness dimensions. . These units are used with 4-point motor mounts and bolt to the engine crankshaft, allowing easy removal of the driveline, making it possible to run the engine without the pump turning. 1310 style bolt pattern = 2 X 2-3/8”. (The aluminum version increases acceleration and should only be used in race applications). NOTE: Used with 4-point mounts, these items can often replace a drive shaft when a safety ratchet has been installed on a pump. The 1350 H BAR is 8” long overall; the 1310 measures 7 ½” end to end. ARS’s line of high performance universal joints are the best money can buy. Both the cross and the caps are special high strength chrome steel. All parts are heat treated for maximum strength. All components are designed and manufactured to strict tolerances for maximum accuracy in balance and even distribution of stress loads. 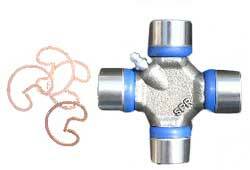 All include a lubrication fitting and are as strong as, or stronger than, competitive U-joints without a fitting. 3-7/16” wide with 1-1/16” diameter caps. For most jet drives.